This page is provided by the Hatchers. The Hatchers are California residents who roll with the punches of California Disaster Living, and know to retain the comforts of home when disaster strikes. There is nothing for sale here, just some advice from a family of California survivors. The page will updated to keep up with changes in the Hatchers' own house. 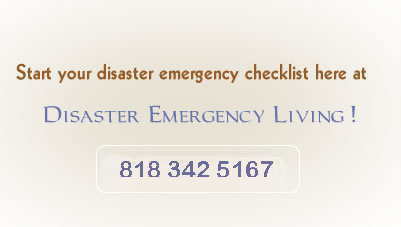 At Disaster Emergency Living, we wholeheartedly advocate the motto of the Boy Scouts of America, "Be prepared." Feel free to "scout" our pages to help develop your own emergency response plan. During our last evacuation due to fire, my wife and I and our two cats lucked out with a hotel twenty-three miles away from our home. They had a room for us and were nice enough to break a rule or two and allow us to keep the cats with us. We learned a lot from that experience. When we lived in Malibu, California, mudslides shut down our highways so we couldn’t get in or out. The market ran short of supplies because delivery trucks couldn’t get through. After the Northridge earthquake, we were without electricity for almost three days. We had no running water for at least two or three days. It was a difficult time, coping under these conditions. I decided then to be prepared for the next crisis. Disasters happen. No insurance policy is going to provide food and survival supplies. You can't depend on The Red Cross, FEMA, and the United States Government to be there fast enough, when disaster strikes. The good news is that you can do it yourself. You can develop your own emergency plan, and gather your own emergency supplies, even if you have to stow it away little by little as you can afford it. The time to prepare is now. The time to prepare is before the crisis arrives. A banker once told me to go for the credit line when you don’t need it. Similarly, right now, before a crisis, survival supplies are easy to buy. And, what you spend is not an expense--it is an investment. With so many natural and man-made disasters happening all over the world, I took my own advice. I needed to create a plan for my wife and me. I consulted with experts. State licensed contractors in a number of fields helped me draft my plan. A doctor and a paramedic assisted me in selecting first aid kits for our grab-run bags--one for my wife, one for me, and one for our two cats--and a more elaborate BLS (Basic Life Support) bag. We are prepared for the two most likely disaster scenarios. You should base your plan on the disasters most likely to occur in your area. The first situation is an emergency that confines us to our home. The second situation is an emergency such as a fire where we are forced to evacuate to a shelter. Now our plan is in place. I love the feeling of security that being prepared gives me. I'd like to share that feeling. What I have mainly focused on in this Website is presenting the various components of my own plan. Each chapter discusses my solution to one category of the many needs that arise during an actual emergency. And, each problem's answer is constantly scrutinized to determine if there is an improvement to be had that will make the situation less stressful and more like the comforts of home. All enhancements will be quickly included in my online edition. Feel free to use my ideas in developing your self-dependence—in completing your preparations for your disaster emergency living. Remember, it’s all up to you. 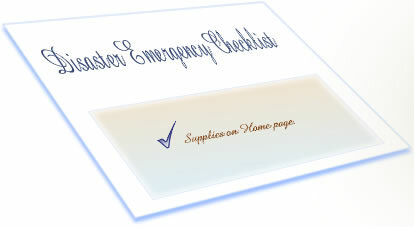 Before you start your own planning, determine what emergency you are planning for, and for how long. Here’s what my wife and I did. We considered our location. 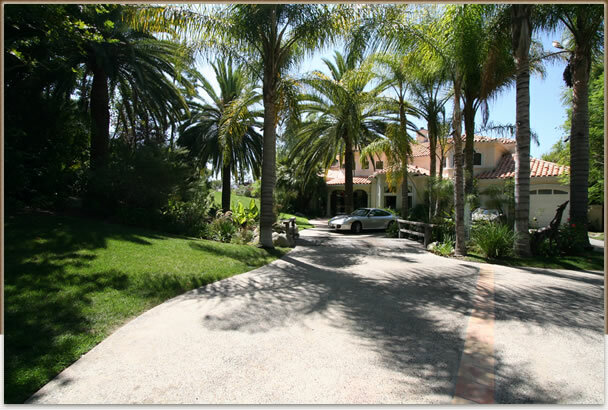 We live in Calabasas, California, located in Los Angeles County. We live within beautiful hills that frequently suffer drought conditions. Wild Fires are not uncommon. Because we live in earthquake country, we could have a tidal wave. Sometimes we get some bad rains that result in flooding. Los Angeles County makes us a bit more vulnerable to nuclear, biological, and chemical threats, than if we lived in a small town somewhere in Arizona. Our environment was the starting point for determining our unique home plan and evacuation plan. 2. Do you have a shelter that will protect you from the above threats? 3. Are there any special health requirements for you or your family members? 4. What will you need to care for your children? 5. Do you have pets? When the emergency comes, you’ll know what to do, and you’ll have the tools to do it. Good planning to you!